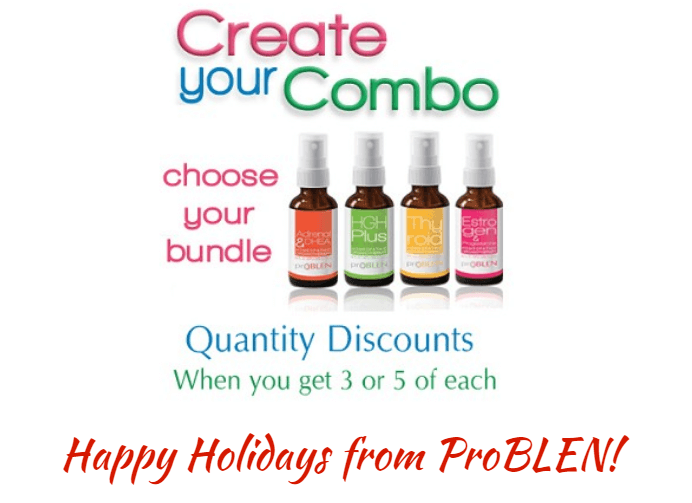 At ProBLEN, we use natural, scientifically-proven ingredients to provide you with homeopathic hormone boosters that safely restore your body's balance and encourage hormone production. This means your body puts itself back into balance rather than receiving an unnatural influx of hormones that only treat the symptoms and not the underlying problem. We get a lot of questions about our ingredients and what they do, as well as questions about the different hormones and their functions in the body. 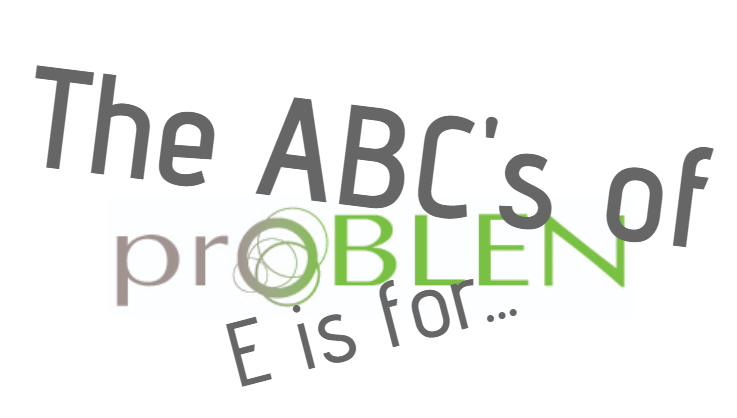 Here's a rundown on the ABCs of ProBLEN focusing on the letter E.
Do you have fatigue or low energy? It may be time to tune-up your DNA levels. DNA and RNA operate as the messengers of life within your body. Research shows that the absence of proper DNA and RNA levels can negatively affect your cells ability to thrive and function. If cells begin to die off or stop functioning properly, nucleic acid activity is stopped — when this happens, aging, in addition to other side-effects begin to happen in the body. In order to improve our body’s mental and physical functionality and performance, we should incorporate DNA and RNA-rich diets. People today are facing an epidemic of sleep problems. The science is conclusive as to the harmful effects of not enough sleep — people don't function at normal levels either physically or mentally, which makes them irritable, stressed, and even dangerous in situations where attention and concentration are required. Since we know the importance of good sleep and the detrimental effects of sleep deprivation, how can we get more high-quality sleep? Most of us do our best when it comes to eating healthy, but most do not realize that eating healthy is only as effective as your body’s ability to absorb nutrients. When your body intakes food it breaks down and absorbs each nutrient, having balanced DNA and RNA levels helps to ensure that your body is effectively absorbing all the nutrients it needs. On average, the body only absorbs a small portion of nutrients that it intakes, meaning that a lot of the foods we eat for a healthy lifestyle can sometimes be improperly absorbed. 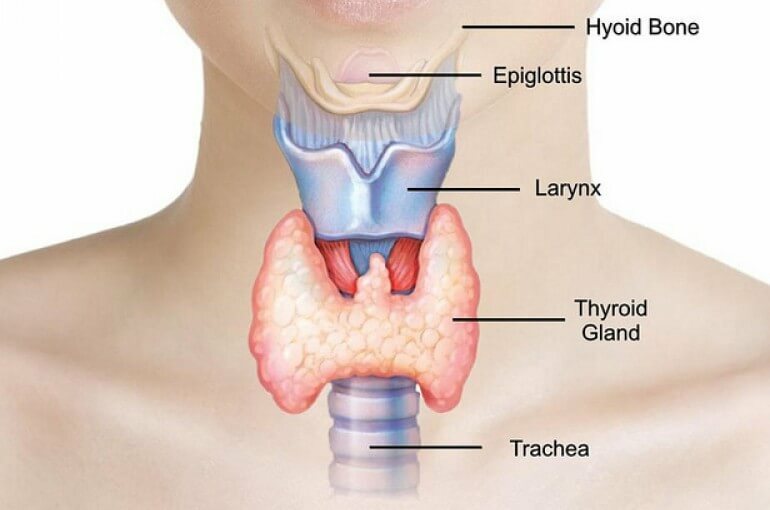 The thyroid is the largest gland in the endocrine system, the system responsible for generating the hormones that regulate all your body’s functions. Most people have heard of the thyroid at least in passing, and assume it has something to do with the body’s regulation of weight and metabolism. That’s true, but the thyroid is more complex than that. This butterfly-shaped gland produces hormones that affect your body’s energy usage, which translates not only into metabolism, but also into mood, energy levels, and even your immune system. A thyroid imbalance occurs when your thyroid releases either too little or too much of the hormones it produces for the body — Triiodothyronine (T3), Thyroxine (T4), and Calcitonin. An underactive thyroid results in hypothyroidism, while the term for an overactive thyroid is hyperthyroidism. As you can imagine, these imbalances each cause problems on the opposite end of a scale: too little energy or too much; an overly-fast metabolism or a very slow one, and so on. Here’s a breakdown of the issues caused by thyroid imbalance and how to help your body address them. What Can HGH Plus IGF-1 & IGF-2 Do For You? If you're suffering from low energy, poor memory, low moods, interrupted sleep, or any of several other symptoms, boosting your body's HGH (Human Growth Hormone) production may help. We created our HGH Hormone Booster to help people like you regain control of their bodies and feel better than they have in years. But we've also developed another HGH formula, HGH Plus IGF-1 & IGF-2. So what are these other ingredients and which booster should you choose? The consumption of Magnesium for our body’s optimal function is extremely important. This mineral does not get enough credit for everything it does to support our body even though it participates in over 350 bodily functions. Ever since its development in the early 19th century, homeopathic medicine has produced results for millions of people throughout the world. Homeopathy works on the principle that the body is its own best healer, and homeopathic medicines are formulated to stimulate the body's own immune system and vital energies. In this way, treatment is performed by the body itself, and not by the sometimes intrusive or even outright harmful method of prescription drugs. In addition, homeopathy has the advantage of treating the actual condition rather than merely the symptoms. Let's face it: we all have times when we feel like our bodies need a little extra boost; especially during the holidays. Sometimes you realize you just don't seem to have the energy you used to. Or maybe you've noticed it's harder to shed extra pounds. Or perhaps you looked in the mirror recently and suddenly saw wrinkles you didn't know you were getting. See how you can help alleviate these symptoms with ProBLEN. We all know being overweight will increase your health problems; but what benefits can you expect if you lose the extra weight? It's that time of the year—that time between New Year's and spring. Whether you're still focused on that New Year's Resolution to be healthier or starting to trim down for an upcoming vacation to a warm location, a diet has probably crossed your mind. What are your reasons for wanting to lose weight? Find out how to ProBLEN can improve your life easily and naturally Let ProBLEN help with some tips. There are a lot of ingredients that go into all of the ProBLEN Homeopathic and Nutritional products. We like you to know what you're putting into your body and how it can benefit your overall health. So welcome to the ABC's of ProBLEN Supplements! 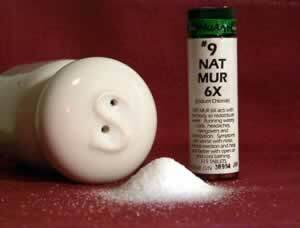 We’ve always been told that too much salt is a bad thing, but did you know too little can be as detrimental? At ProBLEN we chose Rhodiola root for its ability to help reduce weight, enhance energy, and elevate the capacity for exercise. But the other benefits are a bonus! “Rhodiola actually activates the lipolytic processes (fat breakdown) and mobilize lipids from a dispose tissue to the natural fat burning system of your body for weight reduction.